Iran summoned diplomats from Britain, Denmark and the Netherlands early Sunday for allegedly harboring “members of the terrorist group” that launched an attack in the country’s oil-rich southwest, killing at least 25 people and wounding over 60. 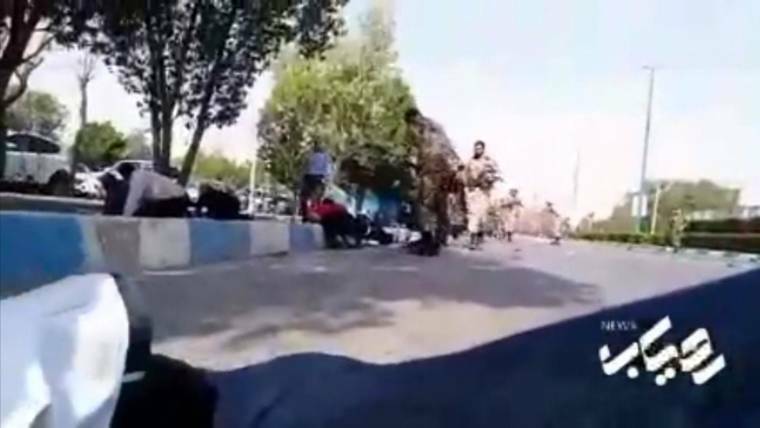 The region’s Arab separatists, once only known for nighttime attacks on unguarded oil pipelines, claimed responsibility for the brazen assault and Iranian officials appeared to believe the claim. Foreign Minister Javad Zarif blamed regional countries and their “U.S. masters” for funding and arming the separatists, issuing a stark warning as regional tensions remain high in the wake of the U.S. withdraw from the Iranian nuclear deal. Speaking before leaving Tehran on Sunday to attend the U.N. General Assembly in New York, Rouhani accused the United States of being a “bully” that wants to create insecurity in the Islamic Republic. “Our people will resist and the government is ready to confront America. We will overcome this situation (sanctions) and America will regret choosing the wrong path,” said Rouhani. 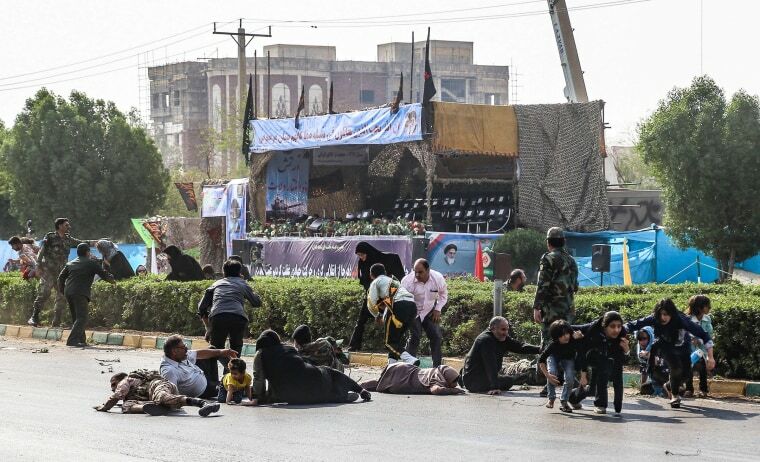 The assault targeted a viewing stand where Iranian officials had gathered to watch an annual event marking the start of the Islamic Republic’s 1980-88 war with Iraq, state television said. Trump’s personal lawyer Rudy Giuliani on Saturday said that U.S. sanctions are leading to economic pain that could lead to a “successful revolution,” contrasting with administration comments that government change in Tehran is not U.S. policy.